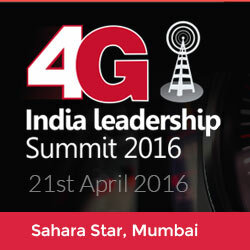 4G India Leadership Summit will deliver a diverse programme of expert speakers, senior operators, leading service providers and handset manufacturers to discuss the future of mobile broadband in India for taking 4G penetration to the masses. 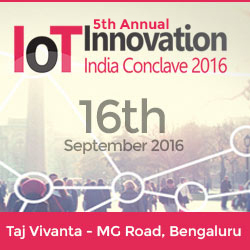 After successfully conducting M2M forum for last 4 years in India next year 2016 we are enhancing towards IoT and would be making our IoT forum more bigger, better and more action packed – IoT Innovation India Conclave 2016 is scheduled on 16th September 2016 at Taj Vivanta, MG Road, Bangalore. This year in 2015 we had big brands like TATA DoCoMo Business Services, Wipro, IBot, IBM, Cisco to name a few associated with us as brand partners and we had a industry gathering of 150 industry professionals present at the event.